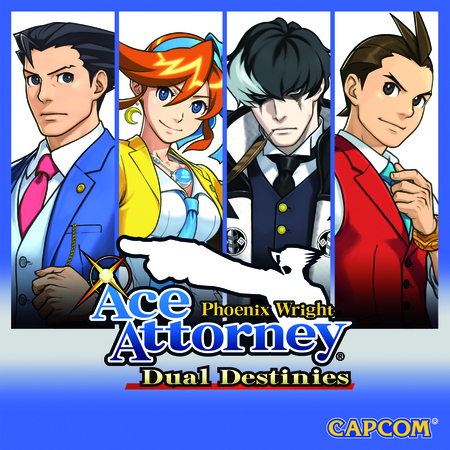 Phoenix Wright: Dual Destinies is the fifth game in the Ace Attorney series, not counting the Ace Attorney Investigations spin-offs. 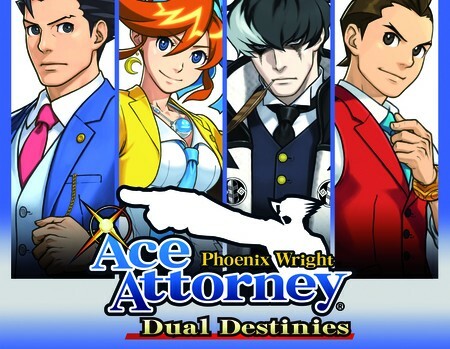 While the formula of the series should be familiar to veterans of the earlier games, Destinies still contains quite a number of firsts: it is the first game in the series to feature 3D animated character models and backgrounds. It is the first game to feature fully animated and voiced cutscenes. And perhaps, most important of all, it is the first downloadable-only title in the series. When Capcom announced that the North American release of Destinies would be available only via the Nintendo eShop, many gamers were understandably upset. The 3DS does not have an online account system for eShop downloads, meaning that if you ever lose your 3DS to some sort of mishap, all of your downloaded games are lost forever. I personally did not find this caveat to be too much of a hindrance, because apart from a few cheap Fire Emblem: Awakening DLCs and the four new StreetPass games released this year, I haven’t purchased anything else from the eShop. But if you ever decide to purchase Destinies, you must take the following into consideration: you need a working credit card to add funds into your eShop wallet, and you must take care of your 3DS and SD card from then on. The entire game takes up 514 MB of space, which is still small enough to be installed on the free SD cards that came with your 3DS when you first purchased it (2 GB for the vanilla 3DS, 4 GB for the XL). 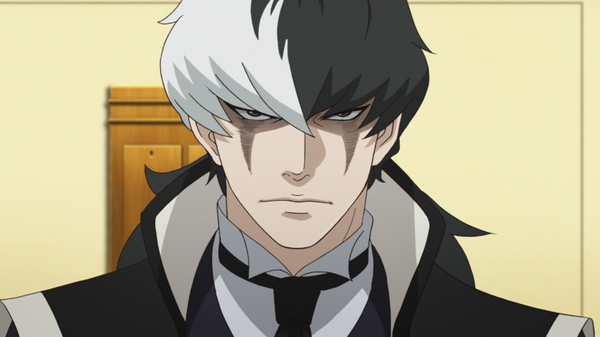 Dual Destinies is paradoxically, the hardest and easiest game in the Ace Attorney series. It has always been a series tradition for the first case to be the easiest case, because of their “tutorial” nature — they serve as a guide and refresher for both old and new players, preparing them for the harder cases to come later. In Case 1 of Destinies, I almost lost my entire “life bar” quite early on because of the moderately high spike in difficulty, although in retrospect, “difficult” probably isn’t the right word to describe Destinies — it is simply a lot more complicated compared to previous games. By Case 2, the investigations and facts surrounding the incidents become very convoluted, and the immediate answers are not always obvious. This slow unraveling of each mystery is what makes the series so compelling to play, and I was very impressed by how well thought out each of the cases in Destinies were. One reason why Ace Attorney 3 was hailed as the best game in the series was because of a certain revelation in its final case, which completely changes the player’s perspective on the story. Destinies contains a similar plot twist, and I felt very compelled to replay the entire game just to see well how this twist holds up. 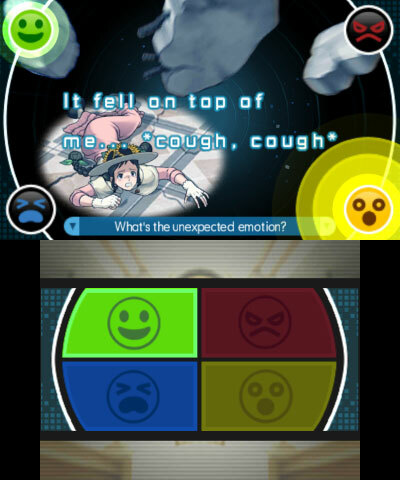 Despite the complexity of the cases, the game does introduce a few new features to ease the player’s frustration. If your life bar ever depletes to zero in the courtroom, a “retry” button will appear, allowing you to immediately jump back into the part where you failed, this time with your life bar fully restored (Tip: the only exception to this rule is Case 5). This completely eliminates the save scumming from previous games, where you would be forced to save your game at every life bar decision, and reload each time you made a wrong choice. 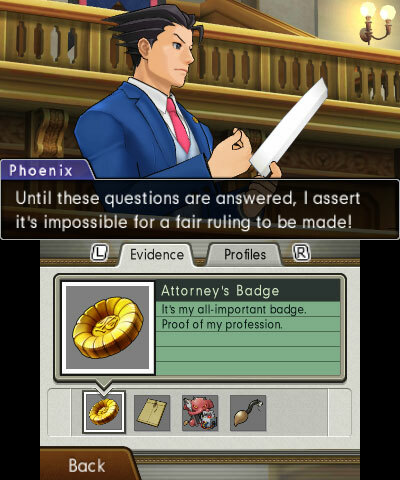 There are also a few courtroom decisions and cross examinations where the life bar disappears entirely — the game is essentially giving the player a free pass to the right answer at these points. During the adventure game-esque investigation sequences outside of the court, a handy new “Notes” tab will appear in your Court Record, telling you exactly what must be done in order to advance the story. There were a couple of moments in the earlier cases where I was genuinely stumped, and welcomed the assistance from the Notes, but I found them to be too helpful. The days of being unable to progress because you missed a pixel are long gone, yes, but I still would have preferred more subtle and gentle hints, rather than direct instructions, because it all but eliminates the difficulty from the investigation portions. I suspect that these easy-mode features were added to Destinies to help attract beginners who are completely new to the series. While Destinies does make some references to past cases in previous games, their outcomes are not fully revealed. It is technically possible for a newcomer to start the series first on Destinies, then go back and replay the first four games without any spoilers. But gamers who have played the previous games in chronological order will still get the most enjoyment, because Destinies does have some returning characters from the original trilogy. Seeing them reappear in their full, 3D animated glory (and sometimes voiced and animated too) is wondrous to behold. At the end of the day, it is still the crazy and likable characters that gives Ace Attorney its personality and popularity, and the Capcom translators have done their best bring them to life with the witty dialogue, name puns, and endless references to western pop culture. Many fans of the original Japanese games might not be happy with how Capcom has Americanised and changed the names of the characters throughout the series, but I still found it credible and respectfully handled in Destinies. Phoenix Wright: Dual Destinies works because it retains the wacky visual novel and adventure game formula that made the previous games so enjoyable. It introduces some new tricks to keep things fresh for veterans, while adding in extra features to help ease-in newcomers. It is a great turnabout from Ace Attorney 4: Apollo Justice, a polarising game that split the fans of the series in half. Phoenix Wright is back, and he’s back with his friends, both old and new. If you don’t have a 3DS and are still unable to make up your mind, I will say this quite definitively: Destinies is worth buying a 3DS for, and I don’t think anyone will find any objections to that. The author’s 3DS is set to the Canada, Alberta region. He purchased Phoenix Wright: Dual Destinies in the Canadian eShop for C$31.49 (after sales tax), which converts to about S$38. He completed the entire game once, but was unable to play the DLC episodes because they have not been released yet in North America.